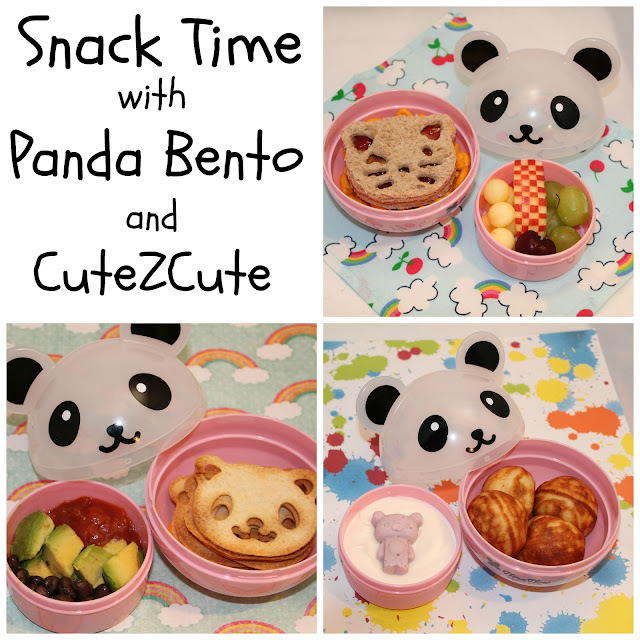 Bento for Kidlet: BentoUsa Giveaway! These are adorable! This is our first year packing lunches for our Kindergartener, and I can't wait to get a hold of some awesome tools! 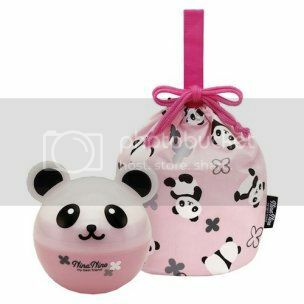 The Panda snack containers are so cute! 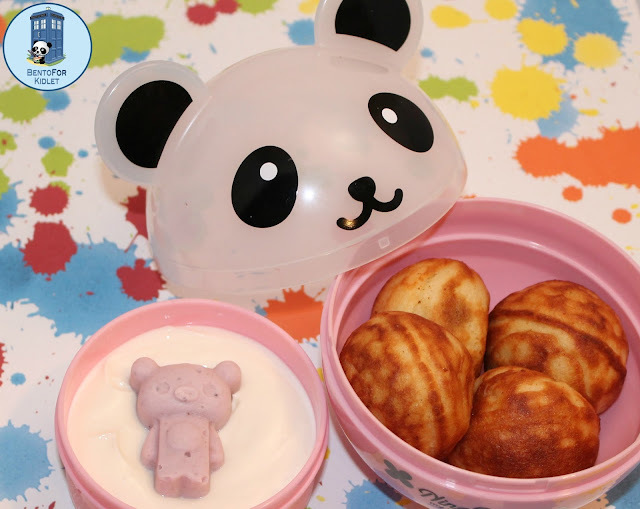 Panda bento is so cute, esp the pink one! On my want list for sure. i'm waiting on my dd to get home. i hate that she's gone all day at school. My 4 is such a picky eater, but he will eat (almost) anything from the cute little bento box i bought after i saw some of the lunches you do on here. I know he would just love this cute panda! I appreciate you sharing your creative ideas for making lunchtime fun (the giveaways are pretty awesome, too!) Thank you. cute thing for today: my parents came to visit today and brought my 3yr old son a big balloon. he was ecstatic! bouncing and bopping that balloon all over the place, you'd think he just won the lottery. really made my day seeing him so happy about something so simple. Yay I can comment. 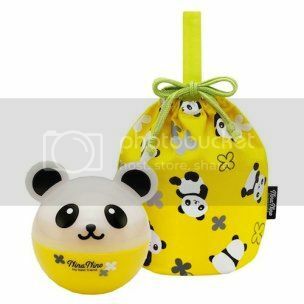 I've never seen the panda ball lunch box before and I think it's adorable! I need some bento things for my kids! The pandas are cute my niece would love the yellow one and I've been wanting to get a CuteZCute for a while. When I was reading this my kitten started swatting the stripes on this page then proceeded to attack my mouse cursor. She finally got tired after 3 minutes of it haha. The panda ball is adorable! Thanks for the gateway..the pandas are so cute!!!! This year I have a first grader and am now in the biz of making a lunch. I started researching home made lunches and found you via another blog. I have read crazy awesome things about these Benton boxes. What would your recommendation be for them? The pandas are so cute!!!! Super cute for back to school lunches. Awesome giveaway, Jenn! N ur lunches are all so cute! This is the first I've seen of this product! How doggone cute! Thank you for this awesome giveaway. These are ridiculous cute. It would be perfect for after care, since my daughter have to wait until 4:45 to get pick up from school. Thank you for cheering me up on a boring Monday! Love this giveaway! I love all the pandas!! I love fixing my three kids lunches. This year I hope to make them fun and cute! Those lunches are adoraballs :) The panda balls are awesome as are your chips and as always the kickass checkered apple. Love! This so cute! I would love to have these. My girls would think they were awesome! Thank you for the giveaway! My kids would love this! My 3 year old has been saying how she has another house with another mother who died when she was a baby! Funny thing is that I am the only mother she has ever had! I don't know where she comes up with this stuff! Ha! We bought lunch all last year and just switched to bringing--it's day 3 and already there's a struggle. This would go a long way to changing her attitude! Great Giveaway! I'd love to have a CuteZCute! My son is actually dreading going back to school so I think something really cute like this would make his day a little better! I love the panda and the hello kitty sandwich is the cutest thing ever! The panda bento is so cute! My kids would love it! This is so cute perfect for my daughter she is such a diva and likes too feel extra special at school so her lunch is so important she will say mom make it awesome. We are starting our new bento journey on Monday and I am sooo excited! Pandas to celebrate the new pandas being born? WOW, this is so so cute. Love it. I think my picky eater will eat out of this. Oh my gosh! There's a Tardis on your banner?! Whovians everywhere! lol ;D This is a super cute prize pack! I love Bento so much! I really want to become better at it so I can make cute lunches in the future for my kids! WOW, this is just too cute. I think my picky eater will actually eat out of this. My 6 year old son was sick yesterday. He gave me a hug on my way out the door to go to work and I told him to take it easy so he'd feel better for school today and he told me that he already felt better because he gave ME all his germs. Hahahahaha!!! What kind of clothes does a frog wear? A jumpsuit! Would love to win! I love bento so much, I want to become even more skilled with it so I can create amazing lunches for my future kids! Super cute giveaway! Thanks for hosting!! My kid saw the photos of the panda bento boxes and is non-stop asking about them! I LOVE these! I also love that Bento helps us stay "green" and the kids are so excited about lunch, even when it's healthy lunch! Too cute! 2 of my 3 girls would come to blows over this box! Looking forward to a year of bentos for my boys -it would be fun to have some new tools and toys! Super cute ideas here! Would sure make lunches more interesting for my 5-year-old! I hadn't heard of Danish pancakes until now! They look delicious! My daughter and I would have fun making her lunches with these. I hadn't heard of Danish pancakes until now. They look delicious! My kids start school next week and I'm gettin worried about being able to keep the Bento ideas I love straight so that I can make their lunches fun. I need the recipe for those Danish pancakes! 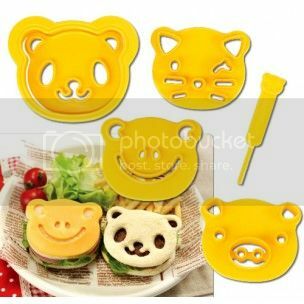 I have been wanting to order those animal cutters since last year, so cute. So cute!! My daughter would LOVE the pink Panda! Thanks for the chance to win! My kiddo loves pandas! She would flip if we won this! This is so cute! My daughter loves pandas! Fingers crossed!!! These are completely adorable! We love the pandas! Thank You! I got so many bento stuff ready for my son's lunch pack. My almost 2 year old boy loves to help me cook. He even helped me make bentos a few weeks ago. He had so much fun looking and playing with all the cute pieces(plus eating all the things I had just put in his!) 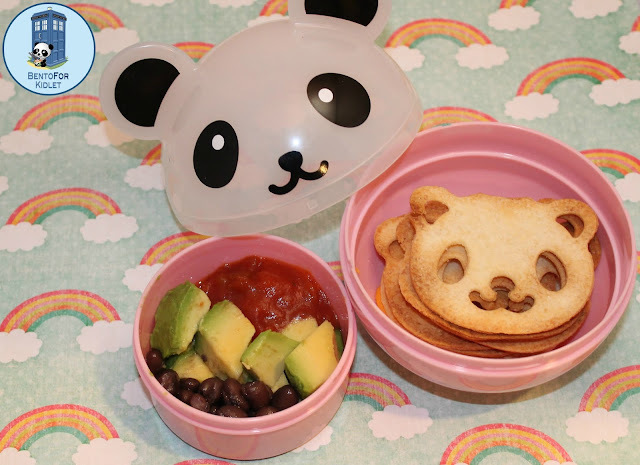 He would love to see cute bears in his bento box! My son really enjoyed looking at the bentos you packed! My little girl would love that cute little panda!! 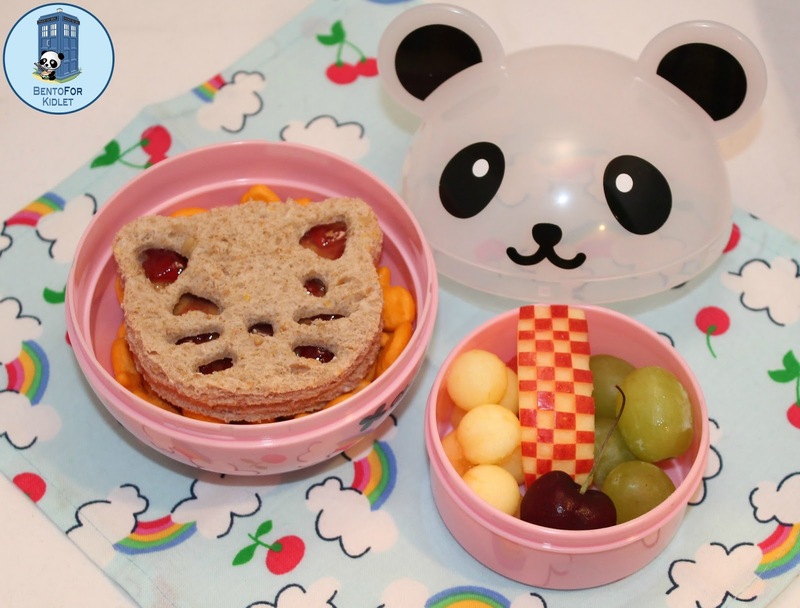 What a cute panda bento! My son is building a train layout. Love when he entertains himself! These are so cute! I would love them to make lunches for my girls to take to school and even more to make for my little boy who misses his sisters all day. I would LOVE LOVE to win! My daughter struggles with eating due to vitamin deficiencies but since we started making Bento meals she is actually eating! Thats HUGE!! Thanks for the giveaway! I would love these to make lunches for my girls. I would also love them to make lunches for my little boy who misses his sisters all day long. my daughter is getting ready to start kindergarten and we could really use some cute lunch stuff! Love the look of these bento. Comes in our favorite gender neutral color (yellow)...only thing better would be if the panda were a frog, but we're excited that there's a frog shape for inside! This would go so well with the panda picks that I already have! well, this was easy enough! have a great day! my 15 month old is babbling non-stop to herself! I wish i could understand what she's saying! Those tortilla chips are so cute!! I love panda bento sets!! Hope I can get my picky eater eating more with these incredible ideas!! I would love to win this. I really want to make some special snacks and lunches for my daughter as she starts school soon! Love it all... especially the yellow panda bento box. I love these little bentos! Perfect for in-class snacks! Q: WHY ARE COOKS SO CRUEL? These are adorable. I love pandas! First day of high school and i've connected with my japanese teacher about bentos! She happened to see me eating my homemade bento during lunch and stopped by to have a conversation :) Can't wait to make more! I took the kids to a wild life park today, and they loved it! This is my second year packing lunch for my little girl. Love that little Panda box! Would be great for snacks! 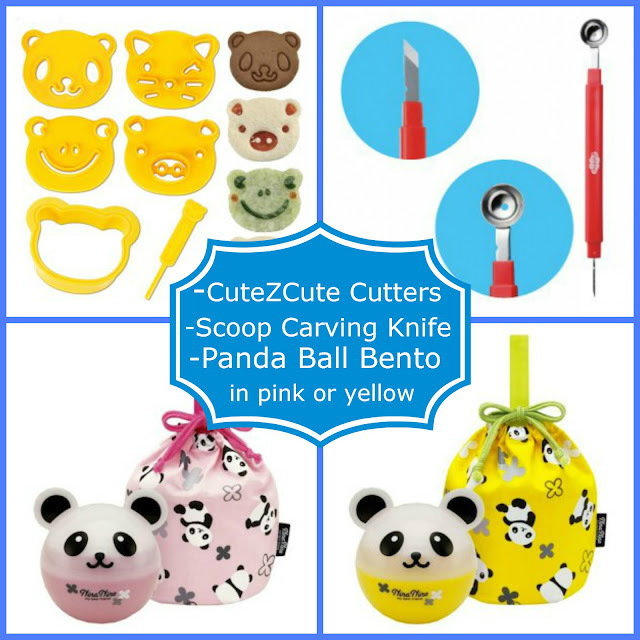 Great giveaway with awesome bento accessories! Love them all. What a great giveaway! I have just started doing some bento lunches for the kids this school year! I have just started with creating bento for my son and he loves animal-shaped sandwiches. I'm sure he'll love that. My son started Kindergarten this week and I decided he needed a new big kid room to celebrate so we redid his room, found new furniture on craigslist and got it all set up tonight and surprised him. He freaked!! So cute! I'm going to start packing lunch for my daughter soon and she will love this idea! Absolutely adorable! I have such fun creating fun and artistic food for my daughter (3 at end of November). She is limited in what she eats but using Bento has helped increase the amount of foods she eats. It got her to eat a sandwich, try carrots etc etc. Love love love it! I typed a message but I do not think it posted...bento helped my daughter try new foods - it is what made her eat a sandwich, carrots... love, love love it! Love these items! The kids will be so excited by their cute lunches. They'll know I'm thinking about them! Pandas are my favorite! I can't believe I don't have any panda-themed bento stuff yet! I have just started making creative and fun lunches for my 6 yrs old school boy, so winning in this giveaway would double the fun! only 5 more day till the kiddos start school. i am not at all excited for them to start back. The kids start back in 5 days. I am not ready for summer to be over yet! My baby boy gave me his first wink today... what a lil angel. Love the homemade tortilla chips. would love to know the recipe. So cute! I just love pandas! The panda is adorable! I hope I win. What a great Bento box! Gotta love the cutters too! What a great Bento box! All of this is new to me and I'm completely obsessed now! Can't wait to start making snacks for school! I might have to use the pandas for ME instead of the munchkin! Love these! My daughter would love it if we won them. so adorable! my daughter is having a panda-themed bday party, these would be perfect! OMG those Danish Pancakes look yummy!! Everything is adorable!! Thanks for the great giveaway!! My panda loving daughter would freak out! Would love this, too cute! would love this for my kids school lunches!! OMG! I JUST did a Panda lunch for my son today! Love it! These are adorable! My kiddos would love to see what we could make for lunch with these! glad to see there are kits and stencils for people like me who are artistically challenged. thank you for this opportunity! We would love these! Great back to school lunch mates! These pandas are so stinking cute! Would love to have a set for my daughter! 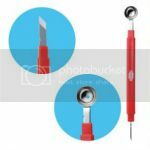 I would love these panda tools for my TRIPLETS lunch and Karate snack, they love seeing surprises in their lunch boxes. They want to eat health and have time to eat, not just wait in the long lunch line and the bell ring when they get their food and then kids don't have time to eat. The teachers say to trash what ever they have left on their trays. I just want to say the pandas are really cute and the triplets would really enjoy them. Thank you the pandas are really cute.